Halloween is a favorite holiday with both kids and adults. It must be the costumes, candy, spooky stories, and parties! Check out our list of some of Jefferson Parish&apos;s top Halloween events! 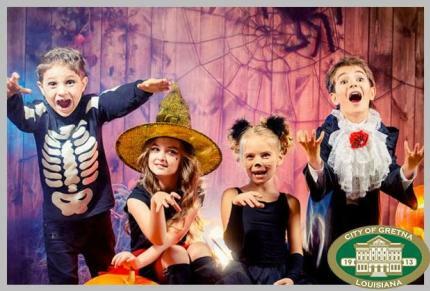 1) Halloween Events at Lakeside Shopping Center - October 1-31: Get your photo taken, ride the Monster Train, trick-or-treat and shop! 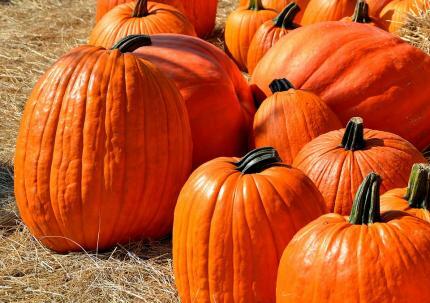 2) Lafreniere Pumpkin Patch - October 4-30: It wouldn&apos;t be fall without picking out a pumpkin or two! Pumpkins range in price from $1-20. They are also booking Pumpkin Patch Field trips, birthday parties & are able to deliver pumpkins. 3) New Orleans Nightmare Haunted House - October 5-November 3: The world-famous 13th Floor Haunted House presents a Halloween experience like none other, New Orleans Nightmare! With some of the most intense and widely recognized haunted attractions in the country, 13th Floor brings a new kind of fear to The Big Easy...one where your nightmares come to play! Located in Jefferson, under the Huey P. Long Bridge, New Orleans Nightmare haunted house is sure to awaken your deepest fears! 4) Old Metairie Movie Night presents Hocus Pocus - October 5: Families are encouraged to dress up in their Halloween costumes and to bring their own chairs, blankets and beverages as they enjoy the Halloween classic, Hocus Pocus. Food will be available for purchase from a variety of vendors as well as a “trick or treat” station for children in costume courtesy of the Metairie Road District. 5) Movie Night at the Market presents Hotel Transylvania - October 19: Enjoy Hotel Transylvania at the Westwego Farmer&apos;s Market! 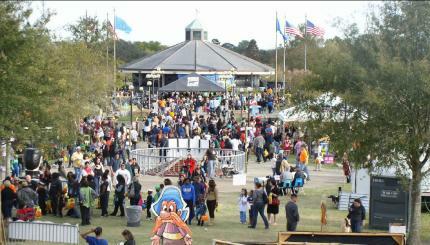 6) Lafreniere Park-A-Boo Halloween Festival - Oct 26-28: Park-A-Boo is a 3-day Halloween Festival. Multiple attractions allow a variety of activities that are age appropriate for families to enjoy together. 7) Hocus Pocus at Gretna Back to the Drive-In - October 27: It&apos;s Back to the Drive-In in beautiful historic Gretna along Huey P. Long Avenue. Enjoy movies and food and refreshments will be available for sale. Bring your lawn chairs and blankets! 8) Gretna Historical Society Hook & Ladder Cemetery Tour - Oct 27: Take a guided tour through Gretna&apos;s historic Hook & Ladder Cemetery where local actors, dressed in period costumes, will tell stories about the lives and times of various people buried there. Light refreshments will be served by the Red Maple. 9) Bayou Segnette State Park Haunted Swamp Trail - Oct 27: Calling all ghouls and goblins! Head out for trick or treating at Bayou Segnette State Park&apos;s campground! This year there will be free refreshments, candy and a haunted swamp trail! For overnight campers, there will be a costume contest for the best decorated campsite! 10) Gretna Goblin Night - Oct 31: No tricks and all treats at Gretna&apos;s Goblin Night! Music, fun, games, candy, popcorn, punch and more! Intended for children 10 and under. Hope everyone has a spoooooky good time! You can find all of our events on our events calendar! And, don&apos;t forget to tag #VisitJeffersonParish in your pics! We could share your posts and even feature them on our website! Get inspired! Follow us on Instagram & Facebook!